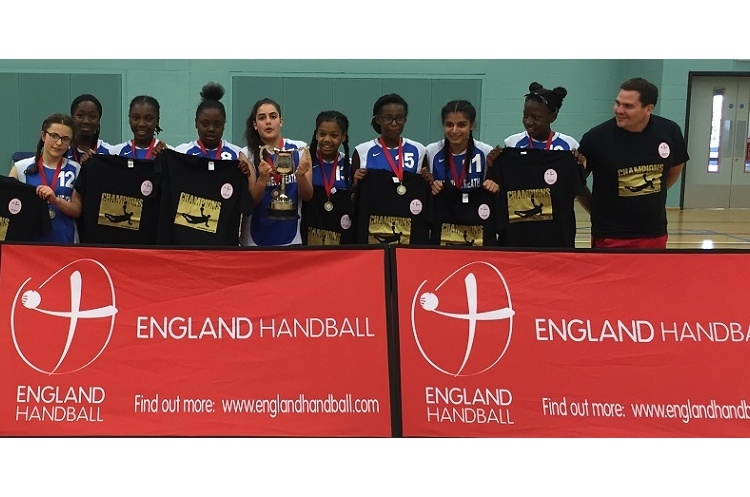 Chadwell Academy were crowned England Handball schools under-13 girl’s national champions after beating Knole Academy in a thrilling final at Worcester Arena. Knole led 2-1 at half time. A see-saw second half ended with the scores at 5-5 meaning the game went into extra. Chadwell scored twice in the nail-biting additional five minutes to take the match 7-5. Chadwell impressed in the round-robin stage of the competition, winning every match to finish top of the table. Knole lost their opening game, against Dareham Northgate, but then didn’t look back as they won all their remaining round-robin encounters. Purbeck School finished in the competition.